For patients who are aging, ill, or recovering from an illness or an injury, CarePartners Home Health Services offers the care you need, from nursing to therapy to social work, right in the comfort of your own home. CarePartners has provided compassionate, experienced care and support for patients in their homes for more than thirty years. We can care for you in your home, assisted living facility, independent living apartment, family care home or rest home. CarePartners Home Health includes experts from a wide range of fields to ensure that you can get the home care that you need. Headquartered in Asheville, and with branch offices in Hendersonville, Brevard, Franklin, Transylvania and Waynesville, our experts drive more than a million miles each year to locations throughout western North Carolina. CarePartners Home Health recently received a 5-star patient satisfaction rating from Home Health Consumer Assessment of Healthcare Providers and Systems. HHCAHPS does a national survey that asks patients about their recent experience with a home health agency. CarePartners Home Health survey scores exceeded those of the North Carolina and National averages according to information on medicare.gov/homehealthcompare. The CarePartners Home Health Team consists of nurses, social workers, and physical, occupational and speech-language therapists. If you are recovering from an illness, or are chronically ill, terminally ill or disabled, you can receive care from a CarePartners Home Health nurse in the comfort of your home. When illness and injury affect your family routines and finances, our social workers can help you adjust and assist you in finding financial aid, community services and helpful resources when you need them. In addition, our team of home health therapists can help evaluate the safety of your home and work directly with you to create personalized home rehabilitation programs. Not only can care be provided less expensively in the home, evidence suggests that home care is a key step toward achieving optimal health outcomes for many patients. These studies show that home care interventions can improve quality of care and reduce hospitalizations due to chronic conditions or adverse events. 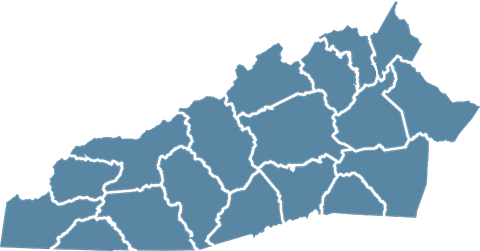 We provide care in Buncombe, Haywood, Henderson, Jackson, Macon, Madison, McDowell, Mitchell, Transylvania and Yancey Counties. CarePartners Home Health is certified by the Joint Commision.